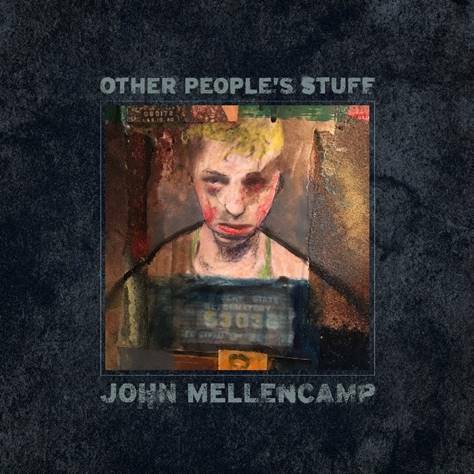 07 December 2018 (Toronto, ON) - Today, John Mellencamp releases his 24th album, Other People’s Stuff via Republic Records/Universal Music Canada, the country’s leading music company. Not only has Mellencamp released hundreds of original songs over his illustrious career, but he has recorded numerous celebrated covers. For as renowned as his original material remains, Mellencamp has breathed new life and spirit into various staples of the classic American musical canon as well. A handpicked selection of those covers comprises the aptly titled, Other People’s Stuff. Culled from seminal albums, compilations, unearthed sessions and documentaries, this record serves as a proud homage to some of the greatest songs in history. See full tracklisting below. The legendary artist heralded the record’s arrival with focus track “Eyes On The Prize.” Initially debuted during a storied 2010 performance at The White House, this politically charged variation on the traditional folk tune “Keep Your Hands On The Plow” represents Mellencamp at his most poetic and powerful. He appropriately dropped the black-and-white music video on the day of Midterm elections, making an impactful statement. Watch it HERE. The new album set the stage for his 2019 tour of “The John Mellencamp Show,” which will feature the rock icon’s classics plus some new material. Hailed by critics and fans alike as one of music’s most authentic and crowd-pleasing concert performer, he kicks off the tour February 7th in his home state of Indiana at South Bend’s Morris Performing Arts Center. Produced by AEG Presents, “The John Mellencamp Show” will start promptly at 8pm and will not have an opening act. Every ticket purchased online will receive a physical copy of Other People’s Stuff. John continues to focus on another facet of his artistic expression: painting. His style has progressed over the years as evidenced by several gallery shows and published portfolios, and in recent years he has increased his output by completing over 100 new works. He had his second solo exhibition this past Spring in New York and exhibit at the famed Butler Museum in Youngstown, Ohio this fall. His highly successful Rock and Roll Hall of Fame exhibit ran for nearly two years and is now at the Woodie Guthrie Museum in Tulsa, Oklahoma from September 1st through January 5, 2019.